run by volunteers, St Andrew’s Church and Bredfield Chapel. The Jubilee Meadow and Orchard has won many awards since it was established in 2014. Woolverstone Macmillan Cancer Centre at Ipswich Hospital. 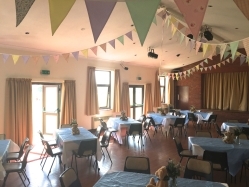 The village has a good community spirit, which is evident in the variety of activities to be found in the hall from art classes and a French conversation group to Morris Dancing and a Youth Club which meet regularly. 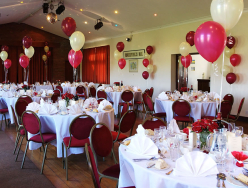 It is also used for weddings, christenings, funerals and parties of all shapes and sizes. The tourist industry is also well established in the village with caravan and self-catering accommodation all available.